China and Russia introduced a resolution Wednesday deploring North Korea's missile tests but dropping language from a rival proposal that could have led to military action against Pyongyang. The draft, obtained by The Associated Press, "strongly deplores" North Korea's missile tests last week and urges Pyongyang to re-establish a moratorium on such launches. It requests — but does not demand — that all U.N. members "exercise vigilance in preventing supply of items, materials, goods and technologies that could contribute" to North Korea's missile program. The resolution also calls on member nations "not to procure missiles or missile-related items" or technology from the North. Chinese Ambassador Wang Guangya said he had been instructed to veto a much-stronger Japanese resolution, which is supported by the United States, Britain, France and four other countries. Wang previously said Beijing objected to three key elements in the Japanese draft: the determination that the missile tests threatened international peace and security; authorizing action under Chapter 7 of the U.N. Charter, which can be enforced militarily; and mandatory sanctions aimed at curbing North Korea's missile and nuclear programs. The Chinese-Russian draft resolution drops those three elements, which Japan and the United States consider crucial. CBS News foreign affairs analyst Pamela Falk said the new resolution from Russia and China "is stronger than their earlier statement and is in the preferred form of a 'resolution,' but takes out enforcement power and therefore, does not satisfy either Japan or the U.S."
Japanese Ambassador Kenzo Oshima and U.S. Ambassador John Bolton said they were still prepared to put their resolution to a vote — even with the prospect of a Chinese veto. Oshima called the Chinese-Russian draft "a move in the right direction" but said "a quick glance shows that there are very serious gaps on very important issues." "I think it will be very difficult for us to accept that as it is," Oshima said. Bolton also cited "deficiencies," notably the Chinese-Russian draft's elimination of the reference to the tests as a threat to international peace and its use of the weaker word "calls" rather than "decides" in the Japanese text. Nonetheless, he said, "we view this as a significant step and think it's important." Earlier Wednesday, the U.S. envoy to East Asia said China had made no progress in its campaign to bring North Korea back to nuclear disarmament talks. Beijing called on the United States and North Korea to step up efforts to resolve a dispute over U.S. financial sanctions that the North calls the main obstacle to a resumption of the talks. "China's really trying. We're trying. Everyone is trying except, unfortunately, the DPRK," U.S. Assistant Secretary of State Christopher Hill said after meeting with China's foreign minister, Li Zhaoxing, in Beijing. DPRK is the abbreviation of the North's official name, the Democratic People's Republic of Korea. 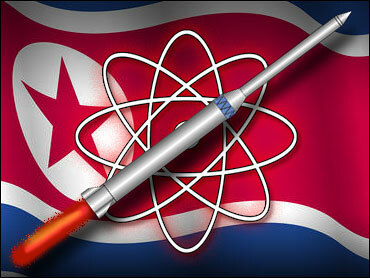 "So far the DPRK seems to want to choose a road of deeper isolation," Hill said. "It is, frankly speaking, a little discouraging that the DPRK has not responded in a positive way." A Chinese delegation including Wu Dawei, Beijing's chief negotiator on the North Korean nuclear issue, is in Pyongyang this week. On Tuesday, Chinese President Hu Jintao made a rare public appeal to the North not to take any action that would further enflame tensions. Japan said the reclusive regime would have to do more than simply agree to return to the nuclear talks to avoid possible sanctions. China on Tuesday called the sanctions resolution "an overreaction" that threatened to undermine regional peace and security and divide the Security Council. Russian Foreign Minister Sergey Lavrov criticized Japan for what he called its uncompromising stance. "The Security Council's reaction must be firm, but it mustn't be overloaded with emotions and mustn't contain threats that could drive the situation into a deadlock," Lavrov said. North Korea ignited the furor July 5 by test-firing seven missiles, including a long-range Taepodong-2 potentially capable of hitting the United States. The weapons, which landed in the ocean between the Korean Peninsula and Japan, created a major new challenge to international efforts to defuse the North's nuclear threat. Japan's Chief Cabinet Secretary Shinzo Abe appeared to back away from a suggestion the government may consider whether pre-emptive strikes on North Korean missile bases was permissible under Japan's pacifist constitution. That suggestion, made by Abe and several senior lawmakers in recent days, has irked Tokyo's Asian neighbors. "We are being criticized as if we are planning a pre-emptive attack. That's completely off the mark," Abe said. The government considers a strike on the North as within Japan's defensive rights only if there is no other means to prevent an imminent attack on Japanese territory, he said.